Dalmeny Police Service has three personnel living in Dalmeny who provide 24/7 coverage. Chief Mossop and Constable Rowe are in the process of building houses in Dalmeny. Chief Mossop retired as a Sergeant from the RCMP. At the time of his retirement he had 27 years of service. Chief Mossop has served part of his service overseas and brings a multitude of experience and knowledge to the Dalmeny Police. He began his career with Dalmeny as the Chief in the spring of 2006. Constable Rowe graduated from the Saskatchewan Police College as a member of the Corman Park Police Service in 2000. He served 7 years with Corman Park before moving over to the Senior Constables position with Dalmeny. Constable Van Meter graduated from the Saskatchewan Police College in 2004. 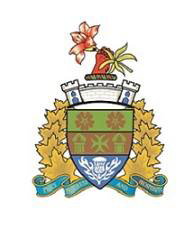 Dalmeny Police Service provides 24/7 policing for the town of Dalmeny. If you wish to contact any one of our members by way of e-mail please do so at: dalmenypolice@sasktel.net or phone (306) 254-2114. For more information about the history of the Coat of Arms, see the: Coat of Arms.